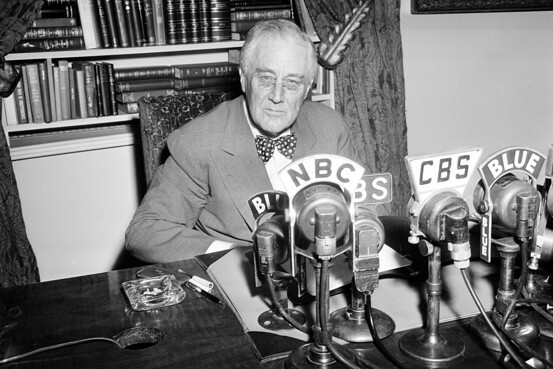 If you have five minutes, I strongly suggest you read FDR's entire prayer. It's beautiful. And it makes abundantly clear that it wasn't just the men storming Normandy Beach who understood the monumental task ahead--the entire nation understood. They understood we were sending men to what for many was certain death. They understood that, in doing so, thousands of families would be forever changed. They understood that, horrible though the price may be, they were in a world standing on the brink of destruction, and the only way to prevent an unthinkable tomorrow was to pay an extraordinary price today. And they understood that, regardless of religion or creed, every knee needed to bow, and every heart needed to hold up those brave men storming that beach thousands of miles away. But today, we have forgotten. That's an awfully weighty thing to forget, but so we have; as a nation, we do not remember the price paid, not just by the men who gave their lives, but by the families who lost them, whether for months, for years, or forever. It really makes me wonder what our grandparents and great-grandparents would say about things like KetchupGate. I think they would probably be ashamed. The truth is, our men (and now women) continue to fight for us, drawn to service by the same bravery and commitment that propelled men onto Normandy Beach. They continue to protect us, and FDR's prayer for them is as much needed today as it was on June 6, 1944. So, this time I will ask you not just to read FDR's words, but to pray them. Please. For the soldiers currently in harm's way, and for those headed to harm's way. Like Jake. Please pray. If i see a Veteran i thank him for his service. They truly were the Greatest Generation. They inspire me. On my wall is a picture taken by Army Signal corp,of American soldiers walking in the snow through the Ardennes. When life is hard i look at that photo and the photos of my ancestors and draw strength. 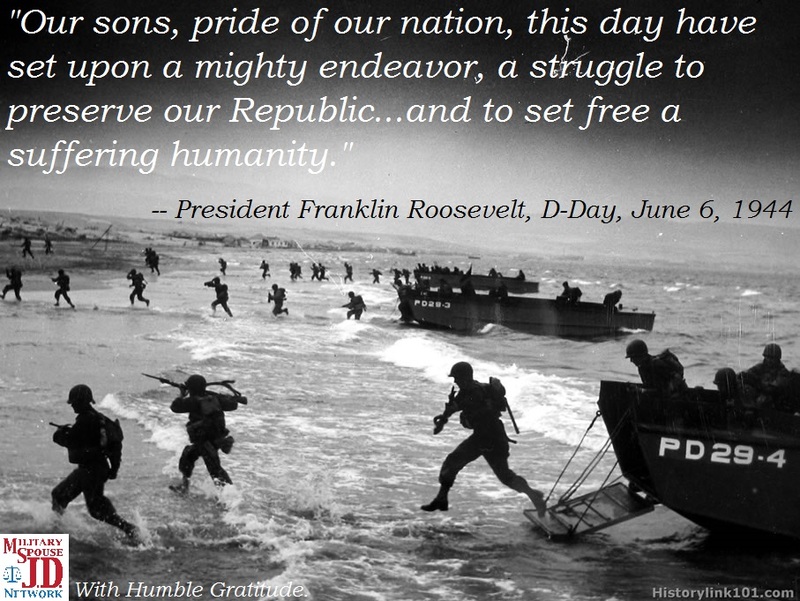 God Bless our Veterans and may D-day never be forgotten!